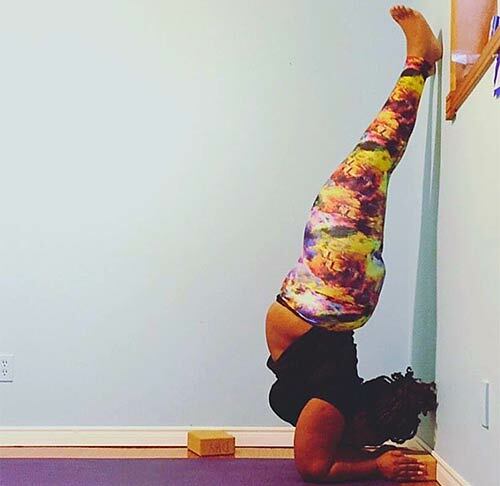 Plus size activewear is turning into a big industry. 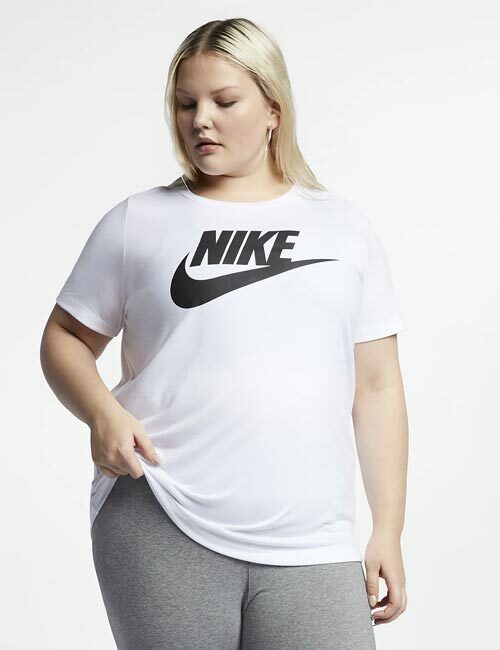 Of course, big brands like Nike have separate lines dedicated to plus size activewear, because we can talk about body positivity all we want, but it’s not going to help if we don’t see it translate into clothing lines. So, we have listed out brands that are doing a terrific job with designing plus size workout clothing for women. We have also included some exclusive brands started by women. More power to them and big brands too! Let’s take a look. Lane Bryant is more than just an activewear brand for women. It lays emphasis on not only sizes, but style and comfort too. Whether you are looking for leggings for running, sports bras for a high-intensity workout, or swimwear, Livi by Lane Bryant has it all. Nike is not new to any of us and is almost synonymous with everything athletic. The brand is known for its running shorts, activewear jackets, tank tops, and sports bras. However, up until a few years ago, it had size limitations just like any other brand. But now, it has an entire line dedicated to plus size activewear clothing. If you are plus size, into fitness, and looking for activewear clothing, chances are you’ve heard of Superfit Hero. This brand is making its presence felt by redefining body positivity and being a body-inclusive brand in the most real sense. But it does not end there. 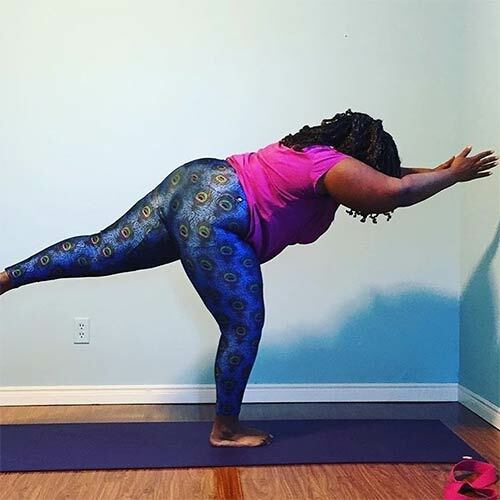 The clothing is extremely comfortable because the brand understands that leggings (i.e., the most sought after workout pants) need to be sturdy, breathable, and not chafe or roll into your skin. It’s no wonder that from amateurs to the most famous body positive bloggers swear by it. Shopping for clothes of any kind can be a harrowing experience for most of us who do not fit into society’s definition of the “perfect” body. That’s because most brands, for the longest time, were oblivious to body positivity. After one such experience, Rachel Bloomfield started a brand in hopes of bridging that gap. Manifesta makes stylish, high-quality, and breathable workout clothes from sizes XS to 5X. Another interesting thing that this brand does is it sends you a little magnet to write your goals or anything else that might motivate you. We need more brands like you, Manifesta. Anne Kelly started Junoactive two decades ago when nobody was even talking about plus size clothing, let alone activewear. She started this brand with a mission to empower women to choose a healthy lifestyle, but in a way that defines them. Be it swimwear, intimates, workout clothes, or gear specific exercise clothes, Junoactive has it all. The best thing about Junoactive is that it is not your typical fast fashion brand. They are mindful of their carbon footprint and make sustainable clothing. We are grateful! Two friends, Monroe and Bayard – a yogi and a runner, respectively – started this brand 25 years ago with a mission to make clothes for real bodies. 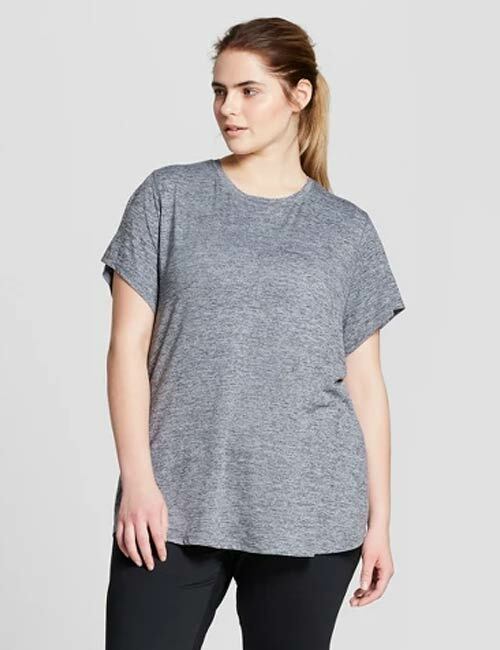 For the longest time, plus size workout clothes meant that you had to compromise on price, quality, or comfort. But if you check out this collection, you’ll see all of it has been taken care of. Old Navy is known for its quality, affordability, and durability. But we didn’t know we could go to it for plus size activewear. Big brands like it are becoming increasingly inclusive, and we couldn’t be happier. It has a great range of sports bras, tank tops, leggings, shoes, jackets, or anything else that completes your workout outfit. Looking for activewear that is durable, comfortable, and well-fitting without creating huge holes in your pocket? C9 is your answer. If you are a regular at Target or Walmart, you must have stumbled upon this brand, so it’s safe to say that it’s approved by many. Whether it is matching sets for workout, sports bras, or separates, this brand has it all! Torrid shows women how fashion does not have limitations and how your size does not define you. It is a brand that is not new to plus size women and offers an extensive range of activewear clothing. Mesh shorts for running, tank tops for yoga or Zumba, sports bras for high-intensity workouts or anything else that you are into, Torrid Active has it all. Most importantly, they are incredibly stylish. 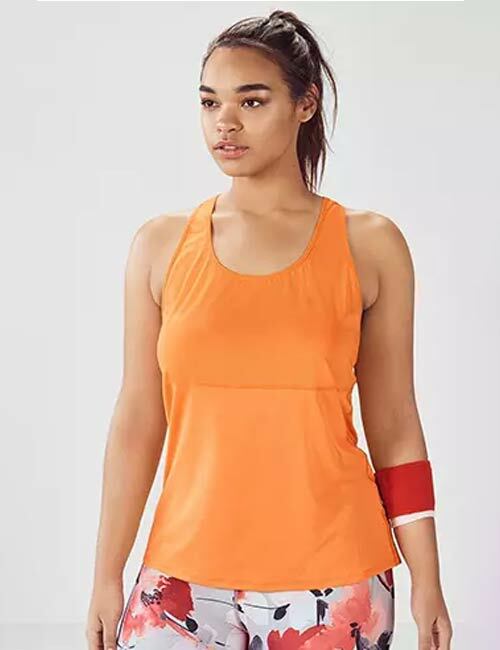 Fabletics is big in the activewear industry and is a go-to for anyone who is into outdoor activities, yoga, or other fitness formats that need incredibly breathable clothing. This brand is known for chic prints, high-quality fabrics, and designs that set it apart. It extended its line a few years ago and now goes up to size 3X. Kristine Deer, a fashion design graduate from Syracuse University, serendipitously started K-Deer after she stumbled upon yoga. At her lowest point, she was struggling to find comfortable clothing for yoga amongst other things in life. 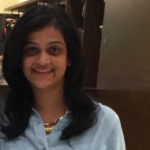 She came up with designs that not just resonated with her, but were also relatable to a large chunk of women. K-Deer is known for its prints and pants called Bum Bums that were a huge hit almost instantly. Katie Pippin started Lineage after her decade-long stint on Broadway. 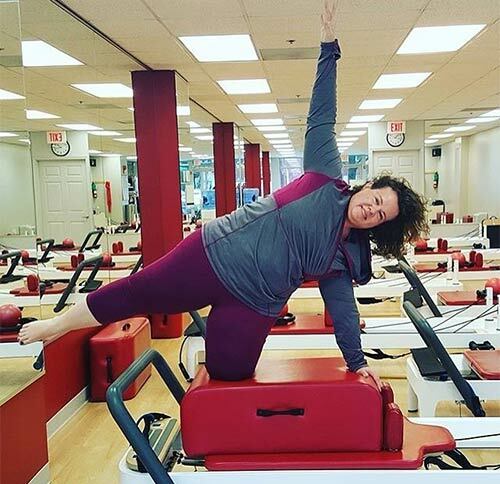 Being a yogi and a half-marathon runner, Katie understands the importance of comfortable clothing. This why she wanted to make activewear that was stretchable, comfortable, and could withstand long working hours. Lineage is environmentally conscious and sustainability is a big part of its story at all levels – from manufacturing locally to healthy workspaces, non-seasonal clothing, and minimizing its carbon footprint. Lineage is one of its kind in this segment, and we need more brands like it. Puma also joined the plus size bandwagon a few years ago and now has an extensive range of all kinds of workout apparel. From sports bras, leggings, running shorts, sweat jackets, and hoodies, this brand has it all. Wearing comfortable workout clothes is the best thing you can do for yourself. Invest in good quality activewear – because your workout is as good or as bad as your gear. What is your preference when it comes to activewear? What makes you feel comfortable? Do you still think there is a gap in the industry? Let us know by dropping in a text in the comments section below.